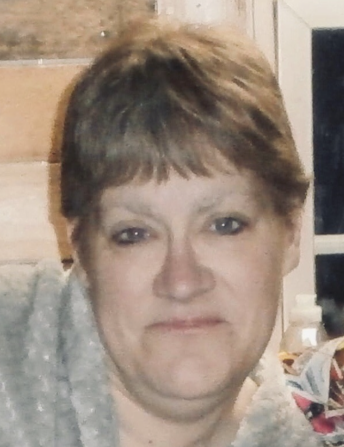 AUBURN | Loretta Marie Plis, 51, of Auburn, passed away unexpectedly Monday, Nov. 12, 2018, at Auburn Community Hospital. She was born in Auburn, the daughter of the late Robert and Barbara Mosher Plis and had been a life resident. Loretta was an Auburn High School graduate, class of 1984 and former auxiliary member of the V.F.W. Loretta was currently working until her passing at Welch Allyn-Hill Rom in Skaneateles for the past 14 years. Loretta loved spending time with her family and friends. She enjoyed the outdoors and especially the many camping trips. Staying in contact with her relatives and friends on social media was more than just a hobby to Loretta. Those who knew her, always knew they had a friend just a keypad away. She was always there to brighten the lives of others. She was a NASCAR enthusiast and an avid New York Jets football fan. Loretta cared deeply for others and her loving soul will be greatly missed by all who were fortunate enough to get to know this special woman. She will be forever remembered by all the lives she touched. She is survived by her beloved son, the pride and joy of her life, Jeffrey Plis, of Auburn; brother, Daniel (Lauri) Plis, of Louisville, Ky.; sister, JoAnne (Julie), of Syracuse; nephew, Michael (Sarah) Plis, of Manhattan; niece Sarah Plis, of Boston, Mass., and her beloved pets, Gizmo Johnson and Haggard Willie Plis. Calling hours are from 4 to 7 p.m. this Friday at Pettigrass Funeral Home, 196 Genesee St., Auburn. A service for family and friends will be held at 11:30 a.m. Saturday at the funeral home. Burial will be private and held at the convenience of the family. In lieu of flowers, contributions may be made in Loretta’s memory to Forever Friends Animal Rescue, 115 Phelps Place, Syracuse, NY 13205.